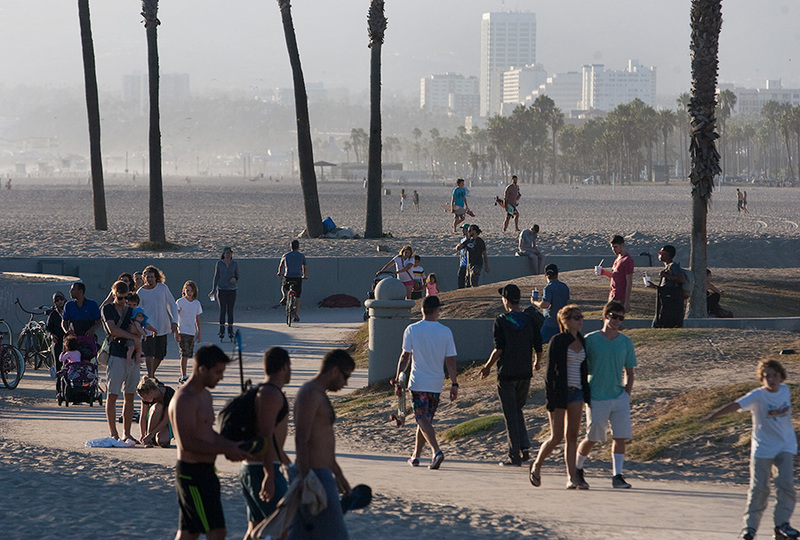 Skateboarders, bicyclists and joggers enjoy the bike path in Venice Beach. Photo by John Schreiber. The Southland was the envy of much of the rest of the country weather-wise Friday, with above-normal temperatures expected to reach into the mid- to high 80s this afternoon in the Los Angeles Basin before a cool-off begins. Long Beach, Redondo Beach, Torrance, Santa Monica Burbank and downtown Los Angeles are expected to register highs nearing 85, none of which will come close to a record, Seto said. The current warm-up is due to a high-pressure system hovering over Southern California that’s drawing in hot Santa Ana winds from desert areas to the east, Seto said. Friday’s warming trend follows the warmest March ever in downtown Los Angeles, which averaged 68.2 degrees last month, smashing an 84-year-old record by 2.2 degrees. March 13-16 marked the first time the temperature in downtown Los Angeles ever reached 90 degrees on four consecutive March days. 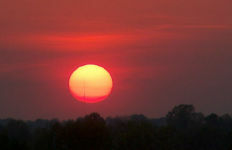 The previous record was three days, in 1934 and 1988. The average temperatures last month also set records for LAX, Long Beach, UCLA, Van Nuys, Burbank, Woodland Hills and Sandberg, according to the Weather Service. Saturday’s forecast calls for highs ranging from the lower to mid 70s at the beaches to around 80 inland. Easter Sunday will see the return of low clouds and fog in the morning, with partly to sunny cloudy skies by afternoon. Highs will range from the mid 60s to lower 70s.